Royal Golden Eagle (RGE) was founded in 1973 by Sukanto Tanoto, who is also its chairman, and manages a global group of resource-based manufacturing companies with interests in paper, palm oil, plywood, construction and energy. The company currently employs over 50,000 people world-wide, and its assets are estimated to be valued at US$ 15 Billion. RGE manufacturing companies are based in Indonesia, China and Brazil, with sales offices world-wide. While RGE was originally established as a plywood business, it has expanded various other sectors over the years to produce and distribute a diverse range of quality products. The following companies are involved in the subsequent business sectors. Asia Pacific Resources International Holdings Limited (APRIL) and Asia Symbol – These companies both produce pulp and paper, together annually producing 4.3 million tons of pulp and 1.27 million tons of fine paper, generating work for over 90 000 people. 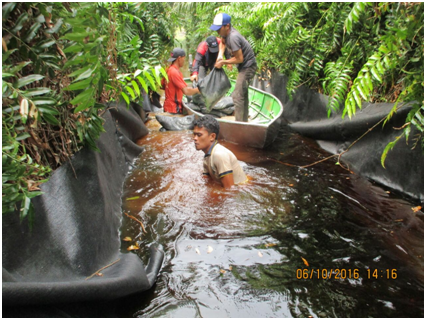 Asian Agri and Apical – Asian Agri produces crude palm oils and runs 160 000 hectares of palm plantation. 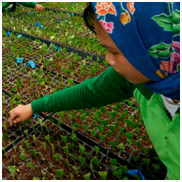 Apicals’ operations include four refineries, and it is one of Indonesia’s largest exports of palm oil. Bracell – Operates in Brazil and is one of the largest specialty cellulose producers in the world. Sateri – Produces viscose staple fibre and has an annual production capacity of 360 000 metric tonnes. Sateri operates in China. Pacific Oil and Gas – Focuses on developing and producing oil and gas in Indonesia. The company develops, builds, operates and owns competitively priced enterprises throughout the energy supply chain and is currently busy developing gas-fired power plants in China and coal-fired plants in Indonesia. Royal Golden Eagle (RGE) was founded in 1973 by Sukanto Tanoto when he decided to exploit a gap in the market that he had observed, and began locally producing plywood in Indonesia. Previously raw logs would be exported to countries like Japan or Taiwan to be converted into plywood, before being imported back into Indonesia. In 2013 the APRIL group established the RER (Restorasi Ekosistem Riau) project, which is a multi-year collaborative project with Fauna and Flora International (FFI) and The Nature Conservancy, to restore and conserve the ecologically important deforested peatland areas in Indonesia’s Kampar Peninsula. In 2015 the April group has pledged to donate up to US$ 17 million over the course of 10 years to the RER to help restore the peat forest and protect the rare animal species that inhabit its environment. Of Kampar’s 700 000 hectares of peat forest, this project will cover an estimated 20.265 hectares. Anderson Tanoto, an assistant manager at APRIL and the youngest son of Sukanto Tanoto and Tinah Tanoto, says the company wants to improve its relationship with environmental groups who have previously protested the practises of the pulp and paper company. “It is the aspiration of the second generation that we be more interactive with the environment to navigate a changing world” – Anderson Tanoto.